I’ve been looking for a really good pizza dough recipe – and I finally found one! This pizza dough is perfect: simple to make, easily ignored, and bakes up just like a pizza dough should! 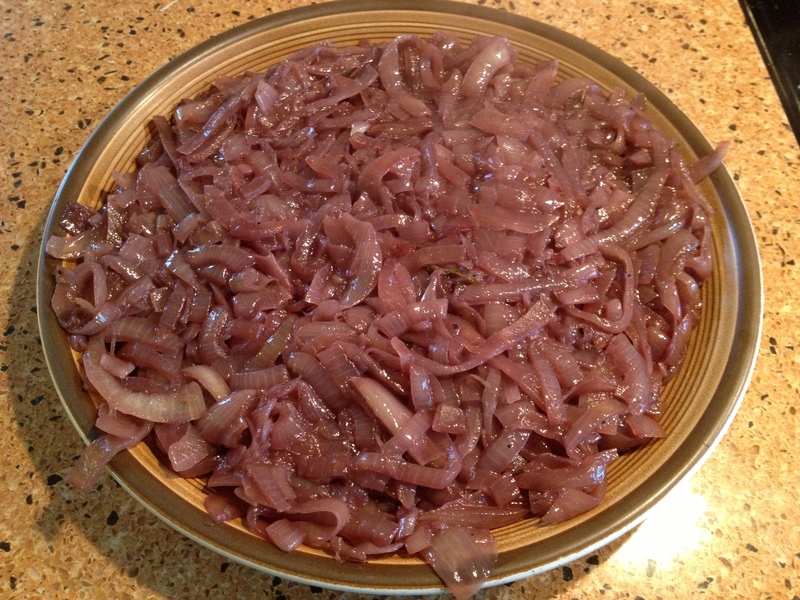 And, then, was there anything easier than caramelizing those onions? I’ve done big batches of caramelized onions before, and they were waaay more work than these. And, the flavor? I could have eaten the entire batch with a spoon!